Mozilla on Thursday launched the beta version of Firefox 13, the successor to its newly launched Firefox 12 browser that promises to be most notable for enabling the SPDY alternative to HTTP by default. Designed as a successor to the HTTP protocol, SPDY not only reduces the amount of time it takes for websites to load, but it also encrypts all communication with SSL so as to make browsing more secure. SPDY has actually been included Mozilla's free and open source browser since Firefox 11, but this is the first time it's been enabled by default. “Users will notice quicker page load speeds on sites that support SPDY networking,” the Mozilla developers noted on Thursday in the Firefox 13 beta announcement. What else is new in this latest Firefox beta version? Here's a quick rundown of the highlights. 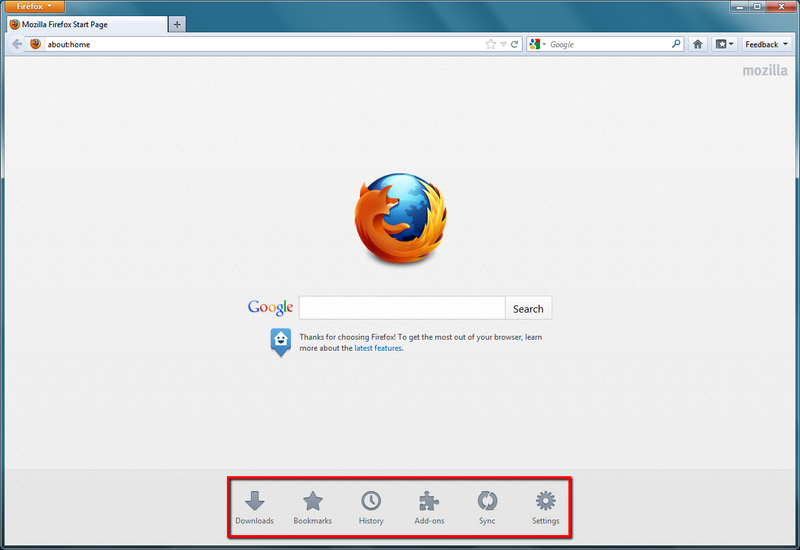 When users of Firefox 13 launch the browser, they'll notice a new home page that's designed to offer easier access to their bookmarks, history, settings, add-ons, downloads, and sync preferences with one-click shortcuts. You can see the new look in the screenshot below. The new home page in Firefox 13 beta (Click image to enlarge). When users open a new tab, meanwhile, a redesigned page aims to make it easier to get to their most recently and frequently visited sites. Users can also customize, add, or remove thumbnails for one-click access to wherever they want to go. Also new in the beta version of Firefox 13 is that the browser loads tabs on demand when you restore a previous session, making it faster to restart Firefox windows with many tabs. Last but not least, a new bunch of improvements to Firefox's Web developer tools are also included in the new Firefox 13 beta. For instance, “Page Inspector now allows you to lock in CSS pseudo-classes on inspected page elements and Style Editor now saves CSS files loaded via file:// URLs without prompting to make the workflow for experimenting with CSS much quicker,” the project team explains. Want to give the new, speedy Firefox 13 beta a try? It's not intended for production purposes, of course, but you can download it for free for Windows, Linux, and Mac OS X. Want to see the release notes first? Check 'em out here.